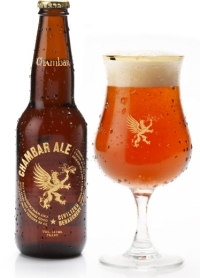 Chambar Ale uses a combination of European and Moroccan spices with a base recipe created from organic locally sourced malt and several variations of yeast strains. Schuerman’s Belgian pedigree has played a large role in the beer’s flavour profile and style and Simpson’s decades of expertise helped create a beer perfect for pairing with good food and dear friends. Initially available exclusively at Chambar, the beer is now available at other restaurants and bars, as well as in selected liquor stores in Vancouver.